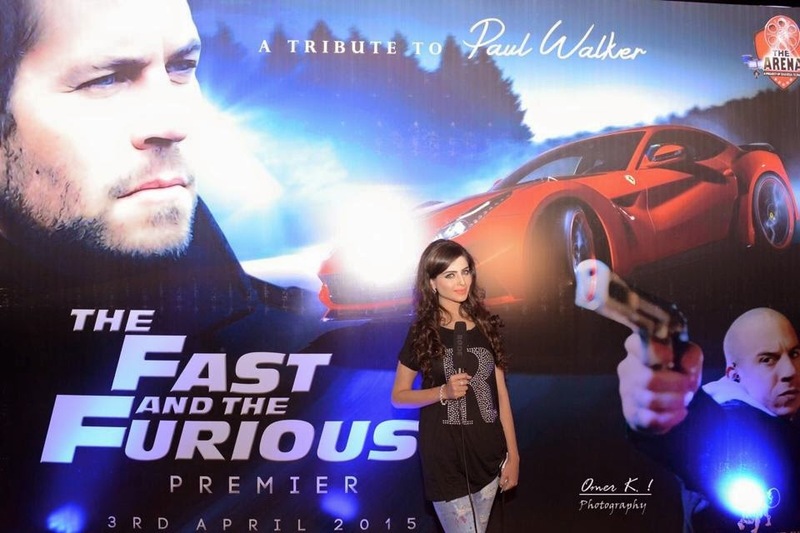 ARENA being the only cinema till date in Pakistan which dedicated the premier of "FAST AND FURIOUS-7" entirely to PAUL WALKER with collaboration of CONSTANTINE PR on Friday 3rd,April 2015. Yes, they definitely did set the bar for others to follow!! When you talk about speed it's not just about cars. It's a lot more than that, it's about PAUL WALKER! ARENA recognised the fact to this extent that they decided to celebrate "speed" in memory of the legendary "PAUL WALKER". 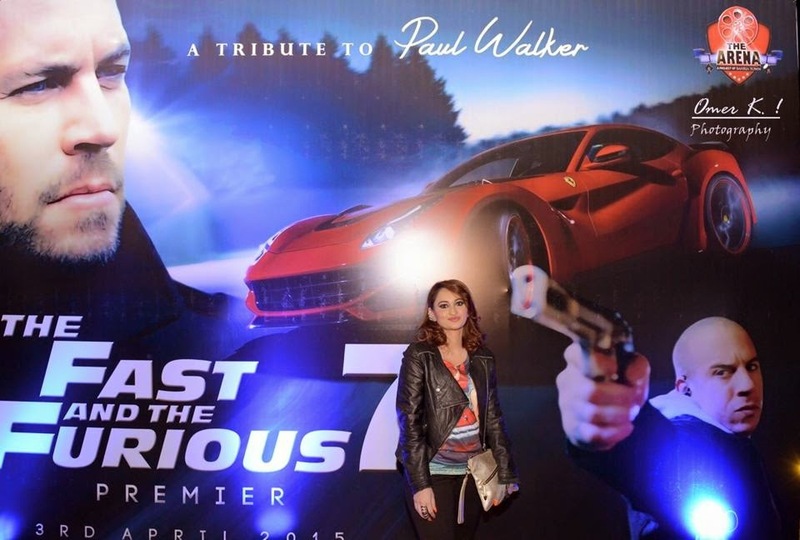 The premier turned tribute to PAUL WALKER, who passed away in a car crash during a break from filming in November 2013. The man who dedicated his life to speed, died of speed. Thrill just not took his life but gave him life for which he will be remembered forever. Arena proved it here that he is special to us all and the world of speed is incomplete without him. The film is written by Chris Morgan and directed by James Wan. It stars Vin Diesel, Paul Walker, Dwayne Johnson, Michelle Rodriguez, Jordana Brewster, Tyrese Gibson, Ludacris, Lucas Black and Jason Statham. The cast and director came together in the aftermath of Walker's death. And the film is ultimate a tribute that will assist in continuing "the legacy for PAUL WALKER". This movie is more than a movie. A movie which involves speed and emotions for the viewers and fans of "Fast and Furious-7" and "PAUL WALKER" for sure. You will feel it for yourself when you see it. Something emotional happens to you. 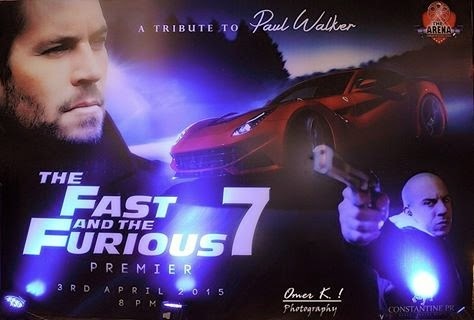 PAUL WALKER would be proud of ARENA, his fans and the final product FAST AND FURIOUS-7!! The tribute to PAUL WALKER was a special event in many ways. Constantine PR proved it's mantra, unorthodox we are!! 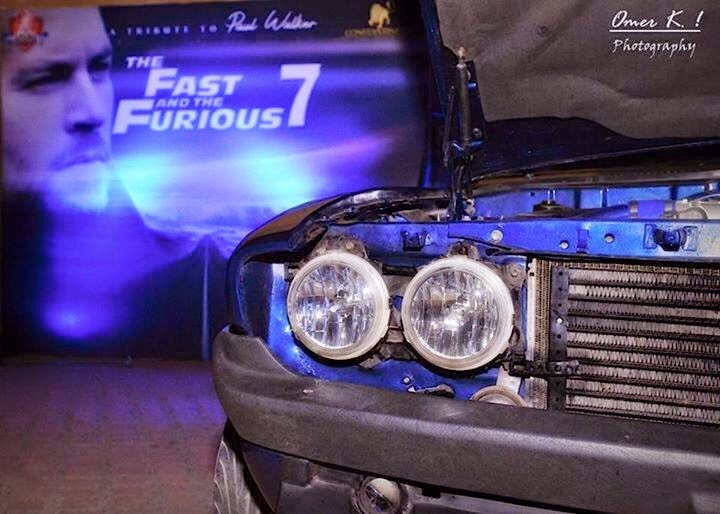 The fast and furious themed red carpet was one of it's kind. The models arrived in FNF themed cars wearing ARORA. The customised line designed by ARORA complimented the red carpet magnificently. The red carpet was hosted by Marvi Sarfaraz who is one of the finest in the industry. 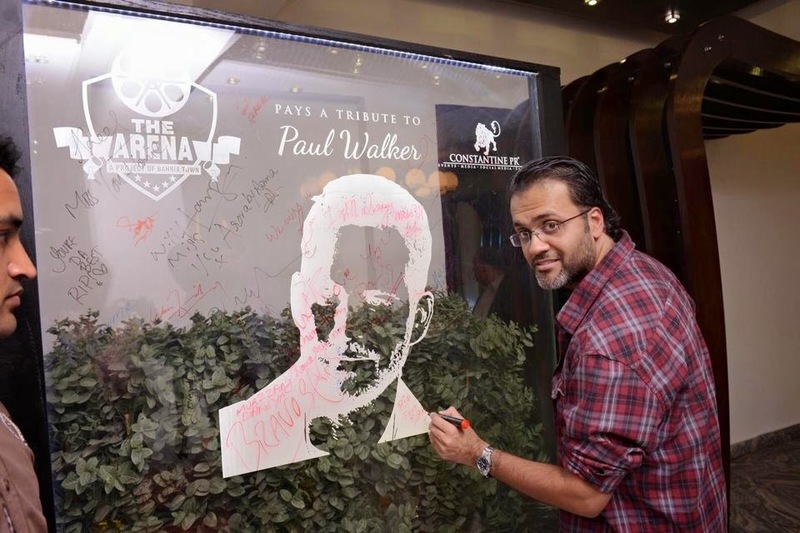 The General Manager of Arena, Sajid Ilyas emphasised on heroic Paul walker saying, " Arena took the initiative to pay the tribute to Paul Walker on the premier of Fast and Furious-7 as this movie is solely about Paul Walker, the emotions he has given to speed are mysteriously unforgettable." The premier was attended by socialites, bloggers and celebrities from Islamabad. Videographers, photographers and TV channels were present to cover the event. "LOL Studio"being one of them. Jaswal brothers were also present and appreciated the initiative which Arena took . Uzair Jaswal said " He is glad the way Arena re shaped the premier which means our cinema industry is well aware and is definitely encouraging the society to think in different dimensions." The event was a huge success and everyone enjoyed it thoroughly. Arena did set a milestone. Constantine PR did not disappoint the execution of the event. One of the sponsors to the event were "Shahtaj".